Dr. Bianca J. Jones, founder of Sage Supportive Services PLLC, specializes in providing culturally-responsive, recovery-oriented therapeutic services. She completed her doctoral and master’s degrees in Counseling Psychology at the University of Texas at Austin. Prior to graduate school, she studied psychology at Hampton University, in her home state of Virginia. 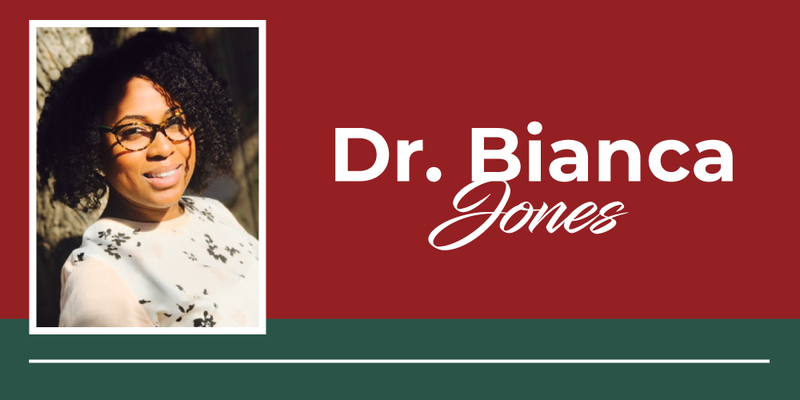 Dr. Jones has shared her expertise on issues related to minorities through publishing in peer-reviewed research journals, presenting at local and national conferences, and teaching university-level classes. Dr. Jones has ten years of experience in the mental health field and has worked in a variety of settings including psychosocial rehabilitation and recovery centers, Assertive Community Treatment (ACT) teams, psychiatric and residential treatment centers, medical facilities, college counseling centers, and private practice. Dr. Jones has been employed within the Veterans Health Administration since 2014 and is currently a staff psychologist at the Michael E. DeBakey Veterans Affairs Medical Center system focusing on the needs of homeless Veterans. Her desire to connect with the Houston community led her to establish a private practice, Sage Supportive Services, with the mission to facilitate individual and collective growth by offering affordable recovery-oriented mental wellness assistance to those who strive to attain, as well as maintain, more fulfilling life for themselves and others.